On a recent trip to Costa Rica, I witnessed a "revolution," though thankfully not the kind that culminates in a coup d'état. 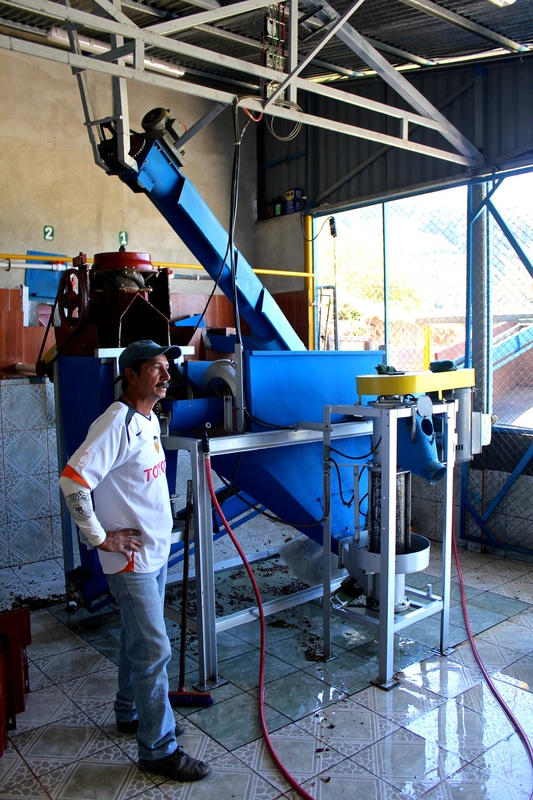 What I saw was the so-called "micro-mill revolution" -- a new way in which coffee is processed and sold, that could help transform the way specialty coffee is traded, to the betterment of all involved. But before we get to the method some Costa Rican farmers are employing, it's probably important to explain a bit about how most coffee is traded. The majority of coffee in the world is grown by small farmers, with plots of land generally no bigger than a couple hectares. Those farmers are usually a part of a co-op or producer group (in which case their coffee is bought by the organization, blended together, and sold as large lots), or independent, in which case they would typically sell their coffee cherries to collectors for processing, blending, and selling to market. While this can be an efficient means of getting coffee to market for buyers, it also represents a large gap in the value chain for many farmers -- if their product has been homogenized with the coffee of many others, and bought as an "incomplete" product, the collectors and processors (or mills) are able to cash in on that missed value. The coffee also loses a great deal of its traceability, and additionally, the quality of blends are inherently middling, as is anything when different calibers of a product are mixed. This is the way small producer-grown coffee has worked for decades, and it is advantageous, for buyers particularly, when used in conjunction with the current commodity-based way of coffee trading. But in this day and age of a culture obsessed with high-quality products purchased with sustainability in mind, the new generation of coffee roasters are actively working to adapt their business models to meet their customers' expectations. Now, back to Costa Rica. On my first visit to the country, eight years ago, I saw what was then the common way of doing business: coffee was grown by estates, or by farmers who sold their cherry to mills for processing. Fast forward to 2014 and the aforementioned micro-mill revolution seems to have taken the country by storm. There are now far more farms milling (taking the coffee from cherry to "green" coffee, which is the product roasters buy from origin) their own coffee. You may ask, why would farmers choose to add capital expenses and more processes to their lives? Simply put, because it earns them more money and the pride in knowing that the full potential of their harvest can result in some of the best coffees in the world. 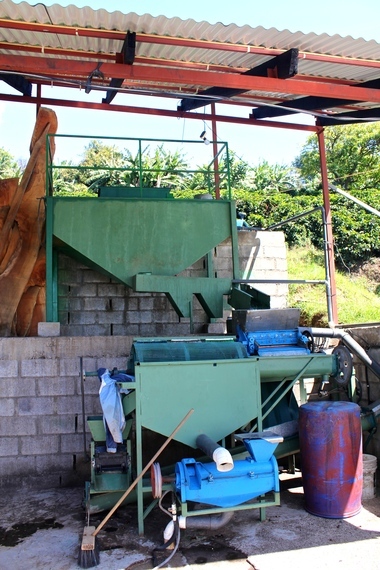 To do this, dozens and dozens of farmers have invested in themselves by purchasing small versions of the large milling equipment that you would typically find on large farms or mills. The typical investment, of anywhere between $10,000-$20,000, comes from local banks. With the farmers' land as collateral and a letter of intent to purchase from an exporter, Costa Rican banks are seemingly at peace with the idea of investing in coffee farms, which is not the case in many countries. With their loans, farmers invest in the equipment necessary to process their own coffee, allowing for them to realize the full potential of quality in their coffee by controlling the process throughout, and not allowing their beans to be lumped in with inferior qualities at the large mills. But this is only one factor in the equation. Each farmer then needs access to the market to sell their coffee, or all is for naught. And this is where the exporters come in. I recently spent time with one such exporter, Francisco Mena of Exclusive Coffees (an important advocate of the micro-mill revolution) who works with over 80 micro-mills, helping find buyers for their coffee. The farmers are also given technical assistance with growing and processing their coffee, and are blessed with some of the world's best growing conditions (altitude, soil, weather, etc), all of which compounds to create a truly unique situation. Costa Rica is now shipping some of the most traceable and quality coffee in the world, with arguably the highest margins I've ever seen farmers get -- even more impressive when you look at their share of the final price roasters are paying. Farmers who micro-mill their own coffee are able to make 30-50 per cent more money than they would if they were simply selling their cherry. At those rates, the initial investment farmers must make to join the revolution become highly recoupable. What is most interesting is that the prices are based on the cost of production and quality of the final product -- two things that are tragically not considered and undervalued, respectively, on the coffee commodity market. And this is perhaps the most "revolutionary" part of this revolution -- the de-commodification of coffee. It's shameful that the idea of paying a fair price for coffee, based on quality, cost of production, and a direct relationship with the farmer, persists as an overall rarity in our world. But Costa Rica provides a truly successful example of how we can stem this tide. After visiting farms in four regions and cupping over 85 lots in my recent trip, I can honestly say that the level of quality and character I tasted in the coffees was truly remarkable. While there, I was with highly-regarded roasters from around the world -- American, Canadian, Australian, Russian -- all of us tasting countless coffees and visiting the farms/mills to try to find the micro-lots we deemed to be the best of the year. And for what it's worth, we all seemed convinced that our unique choices were the best available, and none of us balked at the price. Now, if we can replicate this around the world, then we'll really have a revolution on our hands.